Eileen P. Dennis, 85, of Staten Island, NY, passed away peacefully surrounded by her loving family on March 10, 2017. Born in Manhattan, she moved to Staten Island in 1964. She was a homemaker and raised 5 wonderful children. 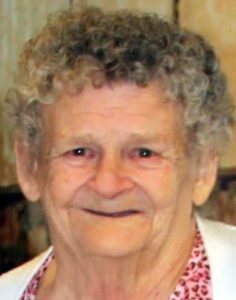 She enjoyed bingo, going to Atlantic City as well as she was a member of the CYO Senior Club. Eileen was preceded in death by her husband, John G. Dennis in 1991. Calling hours will be held at Cherubini McInerney Funeral Home in Staten Island on Sunday from 2-4 & 6-8pm. A Funeral Mass of Christian Burial will be held on Monday at 10:30am at St. Rita’s RC Church. Burial will follow at Holmdel Cemetery.